the start time listed is off an hour from the upcoming events panel. which is correct? I'm predicting Best and Sacsri to go through. I don't think Best will have to much trouble in this group. I predict Best and Mong advance. Curious to what cheese or all in Zelot will pull vs Best. Hopefully something creative. funny how people rate sacsri when hes pretty meh from what ive seen of him and his sponbbang rank is even slightly poorer than zelot. sc2 factor i guess? When you continue to have more exposure to offline matches you become more likely to get out of a group. Also if you want to bring Sponmatches into it, Zelot's rank is only slightly higher but his win percentage is massively higher, what does that suggest to you? the very fact that an expro elo rating is similar-ish to an amateur should ring alarm bells about said expro supposed quality and competitiveness. na, you said "more exposure to offline matches" which is vague. i was thinking you are going for his sc2 accumulated experience as well. won a dreamhack and all must have good mentality yo! 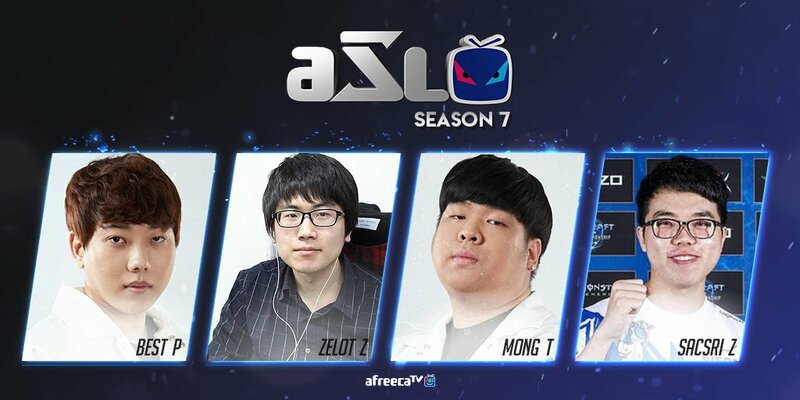 I' love the back and forth between Tastosis and John the translator. Edit: LOL well that attack did nothing. Poll: Recommend ZeLoT vs BeSt? Your vote: Recommend ZeLoT vs BeSt? LOL who is this Zerg? Attack with some lings, the attack fail, and then you instantly gg? If you're 100% gonna gg if the attach fails, at least bring all your drones and drone drill.